A Fuel Barrel is an uncommon barrel found in Donkey Kong Country and Donkey Kong Country 3: Dixie Kong's Double Trouble! In Donkey Kong Country, Fuel Barrels make their first appearance in Tanked Up Trouble. There, they are used to fuel up a small platform, which is used throughout the whole level to guide the Kongs to the level's end. The barrels do not appear often in the level, though, so grabbing them when they appear is vital. A simple touch of the barrels can slightly fill up the platform's tank for a limited amount of time, though some Fuel Barrels barely fill up the tank at all. The amount of fuel given by a barrel is indicated on the drum with red dots. 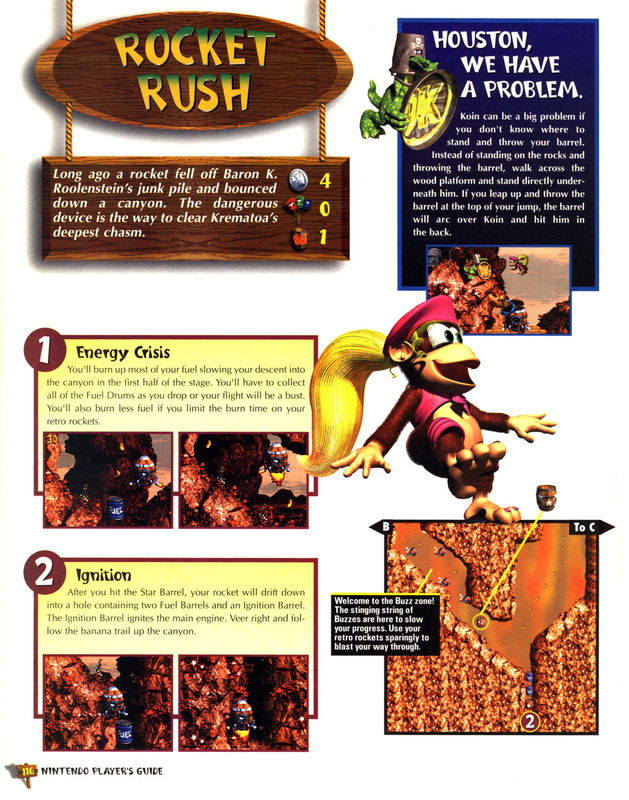 In Donkey Kong Country 3: Dixie Kong's Double Trouble!, they are only found in Rocket Rush. There, they are mostly unchanged, although they are a dark blue color instead of black. During gameplay, the barrels must be gathered to fuel up a special kind of Rocket Barrel, which Dixie and Kiddy Kong ride in through much of the level. The Fuel Barrels are usually found in plain sight and fill up more fuel than in Donkey Kong Country. However, they rarely appear, so saving fuel is very important during the level. This page was last edited on March 30, 2019, at 18:57.